MOSCOW (Sputnik) - The office of UK Prime Minister Theresa May ruled out backing down on leaving the EU customs union post-Brexit, the Guardian reported on Monday. The government would not pursue policy aimed at keeping the United Kingdom within a customs union, the media said, citing a Downing Street source. READ MORE: After Brexit, Where Will Cash Come From to Save Port Home of UK's Fishing Fleet? The issue of Britain's withdrwal from te EU customs union has been a stumbing block in the parliament ever since in March, May announced the UK government's decision to leave the customs union, as well as the single market with the EU in order to pursue an independent trade policy, however she reiterated that Britain would remain committed to ensuring smooth trade with the bloc. Earlier in the month, the UK House of Lords voted in favor of staying in the customs union following the withdrawal from the 28-nation bloc, though in February the UK prime minister stated that a new comprehensive customs union with Brussels would betray the vote of the UK people. On June 23, 2016, the United Kingdom voted in a referendum to leave the European Union. The negotiations between London and Brussels are due to be completed by the end of March 2019. 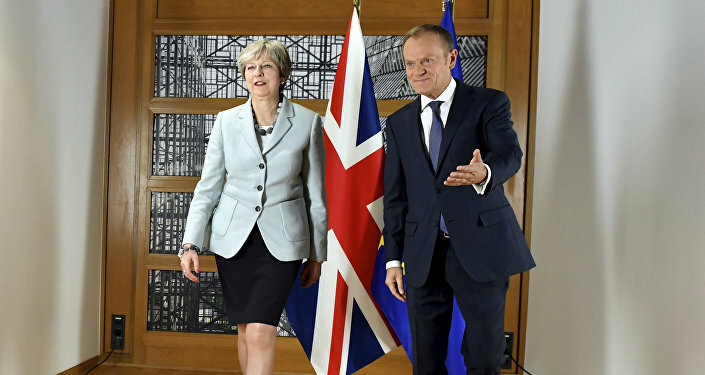 In December, the parties moved to the second phase of the talks, which will be dedicated to the transition period in EU-UK relations after Brexit, and their future long-term trade and security cooperation. After Brexit, Where Will Cash Come From to Save Port Home of UK's Fishing Fleet?